That we even ask the question about whether video games might be “literature” or for that matter any other form of “art” is significant, because it shows that we are at least approaching video games with an open mind. The late, great film critic Roger Ebert got many things right, but when it came to video games, he was notoriously unfair in claiming that “video games can never be art.” Ironically unfair, too, since he seems not to have recognised that in the late nineteenth century his own discipline of film was initially compared unfavourably to the theatre, just as the novel was once seen as subversive compared to religious tracts, or twentieth-century impressionist painting was condemned as a childish daub compared to nineteenth-century realism. Ebert can be seen as a reactionary, whose instincts will at some point be proved flawed. What these earlier movements suggest is that at a certain point we invariably stop defending our trusted forms against the upstart newcomer, and start using our old critical weaponry to colonise the new ground. So twentieth-century writers such as T.S. Eliot or Ezra Pound saw in film not something inferior to literature, but rather something that could inspire innovative writing. The tools of Biblical scholarship turned from studying religious texts to theorising the new and exciting form of the novel. And as video games reach a level of aesthetic, visual and narrative complexity we are just now beginning to see that video games might be interpreted using long-established methods of art and narrative criticism. Two questions now start to follow, just as they did during earlier epochal shifts. The first is: video games may be art, but art of what kind? Are games more like a movie or more like a novel? Are video games like real-world sports that happen to have stories attached, or are they more like literary stories that happen to be gamified? Once we have decided what traditional forms games are most like, the second question is: how can we apply the same tools that we use to analyse existing art forms to the new ones? Almost since games came on the scene there has been an ongoing debate within game studies. There are those (the ludologists) who argue that games can best be understood in terms of their unique mechanisms that frame and define their field of play. To a ludologist, even though a game like Mass Effect contains 250 000 words of dialogue, to understand the game we must concentrate on the interaction of variables and the mechanics of shooting, running, jumping and flying. The story is merely the excuse to zap bad guys with lasers; it may have an epic plot written in collaboration with science fiction novelists, but structurally Mass Effect is more like Super Mario than War and Peace. In the opposing camp, there are the narratologists, who contend that we play for the story. If games are simply about underlying mechanisms, which vary little from one game to the next, why are we excited by Mass Effect whereas nobody plays Doom any more? Just as all novels allegedly riff on seven basic plots, so games are always variations on an underlying mechanism. As with novels, then, it can only be the subtle narrative variations that explain what makes one game better or more compelling than another. My own research seeks to put some colour within this very rudimentary sketch of the critical landscape. I start from the presumption that, although games are not literature in any straightforward sense, with 2000 years of literary criticism behind us there must be something interesting that literary scholars can find to say about the way video game narratives work. Claiming this, though, involves thinking backwards. Much criticism starts by looking at the structure and form of a text, and only then (if at all) wondering what effect it may have on its readers. However, what if we look at games and literature through the other end of the telescope? If we consider the effects of games and literature on players and readers we will notice that there are similar feelings and attitudes involved in both, and we can then search for the common structures and methods that might bring these similar responses about. Take one example from a forthcoming book chapter: the sense of an ending. The literary critic Frank Kermode observed in a highly influential book that our reading experiences of novels are motivated by our knowledge of an ending to come. Every novel, he points out, actually begins at the end. When Jane Eyre tells us at the start that “There was no possibility of taking a walk that day,” we are not actually learning about an innocuous event before the “real story” gets going; that event actually matters, is the first in a long chain of contingent actions that end up with the marriage of Jane and Rochester. At the same time, although everything that happens turns out retrospectively to have been relevant towards the end, Jane Eyre continually and agreeably surprises us, so that in the moment of reading we are never entirely sure where the narrative will take us next. The only thing we do know is that, like a coin dropped into a spiralling funnel, from a broad and seemingly coincidental beginning we will eventually arrive at a point of definitive conclusion, all the threads resolved – a point of conclusion that is lacking in our actual lives, which neither end nor in some senses begin, only continue from one lived moment to the next in a continual and perplexing stream of perceptions which rarely make logical sense. Literature, meandering through twists and turns of plot and fate, turns the unforeseen, which is so often frustrating in real life, into the enjoyable, because we know that all will be resolved in the end. This is why we read. And it is also, I would argue, why we play games. Games mimic life: things happen which are unexpected, there are challenges, we make mistakes. At the same time, these mistakes and backward paths are more enjoyable in the context of a game because we know that they must lead somewhere, that as we learn from and overcome those mistakes, we will eventually reach the end that is waiting for us, programmed by a grand designer. Notably, most gamers tell themselves narratives about their own processes of gaming: “I went into the room and shot the baddy by the window but then I got shot by the guy in the dark corner, and so next time I scoped out the room first and got the sneaky guy and then the obvious target.” We rearrange and correct, and the game rewards us eventually with the ending, the completion screen which we strive towards. The often basic structure of games – go here, shoot this, move on – is made out to be a weak point. In fact it can be seen as a generic strength. It enables us to tell ourselves stories which place our actions amid the unexpected threats of a game into a heroic order. The unexpected dangers and frustrating failures along the way are all the more rewarding once we get to the end, and can see how they fitted into the ultimate picture. Thus we game as we read: for the sense of closure. This is just one of the ways in which we can consider games and literature to produce similar effects, but by somewhat different means. Here are a couple of others. Aristotle wrote on the central role of catharsis in drama. Even as his maps for what makes a tragic plot and hero have been modified over time, the cathartic response remains crucial in contemporary drama. Is it there in games as well? And if so, is it brought about by plot (crucial to Aristotle’s conception of drama) or characterisation (central in modern drama)? Or what about the notion of empathy, which has become a dominant theme of literary studies as it engages with the findings of neuroscience, psychology, and evolutionary theory. Literature works – and is of social and even biological value – because of the empathy it creates when we see the world from the point of view of another character. Gaming, too, asks us to occupy another, virtual point of view. Do we empathise with characters created out of pixels in the same way as we empathise with those created by printed words? To end with these open questions suggests that the ultimate question, “Are videogames literature?” remains unanswered. Actually, I think it is pretty clear that video games are not literature. Nevertheless, put the question a slightly different way – “Are players of video games like readers of literature?” – and the two start to move a bit closer together. At the level of how and why we experience and respond to a “text,” literary criticism can help us to understand things about video games. It is not the only way of interpreting games; perhaps it’s not even the best way. However, it is a way which presumes that video games are not an entirely new means of telling stories, which can only be theorised with a blank slate. Like most academic research these days, whether in the sciences or humanities, video games are best understood through an interdisciplinary approach, turning the light of one discipline in an unexpected direction to see what it reveals about another. Interesting article, Dr. Brown, however, I feel your argument may be somewhat short-sighted. In pondering the question, “Is a film the same thing as a poem,” you imply the obvious answer (“No”) but you seem to ignore the important answer, which is that despite having different structures, we consider both media to be literature. Are you familiar at all with “The Monsters and the Critics?” Prior to Tolkien’s essay, academics observed Beowulf as a historical document and a source for Anglo-Saxon language. Tolkien argued that since Beowulf was a poem, we ought to study it for its literary value as well. The question we should address, rather than why we play games, is why we study literature; is it because we gain something valuable from the form–in which case, each medium must be thought out on a case-by-case basis–or because we find value in the narrative, in which case it would be difficult to argue that games don’t contain some sort of story, and thus by extending Tolkien’s argument, we should study as stories. Obviously, I can’t argue that every story has literary value–I don’t think I could write a paper on the moral dilemma of Pong, or carry on an intelligent discussion on why Donkey Kong kidnapped Pauline–but if we consider Foucault’s “What is an Author” essay, we should at least acknowledge that there are varying degrees of art in any medium. Some games truly are merely sports with stories attached, but other games are more like novels that happen to be gamified. You bring up shooter games which, I agree, may not have a high literary quality to them, but we don’t condemn books as a medium because of the formulaic nature of romance or mystery. Instead, I suggest playing through the more literary games like Final Fantasy X, Journey, or Silent Hill 2, which do weave very intricate and meaningful storylines, all the while using their structure–which has been enabled by modern technology–to enhance the narrative capabilities. Interview people who have played Final Fantasy VII and ask them how they felt when Aeris died–she may have been pixilated, but many players recognize it as one of the most emotional moments in all of gaming. If people have put the effort into creating their conception of art, I don’t think we should be so quick to dismiss it. Personally, I think the answer to your question is obvious, but I come to the opposite conclusion–that of course it should be considered literature. I even have a class playthrough of Journey scheduled for my Introduction to Literature students two weeks from now, after which we’ll examine how technology changes storytelling, as it did with film. 2. the stage director: you can decide the direction of how you want to play and what you want to achieve: for instance I know some gamer who pretended to be female and flirty just to gain something favoritism from the male gamers. 3. the recipient / the audience: you are your own spectator and watch your intrigues play out. A big part of the fascination for PLAYING games is interaction with others, of engaging in creating/achieving something as part of a group (look at the raids in WoW or the PvP-Battles). You make your own world, where you can be whatever you want: deceiving or a hero or a princess in distress. 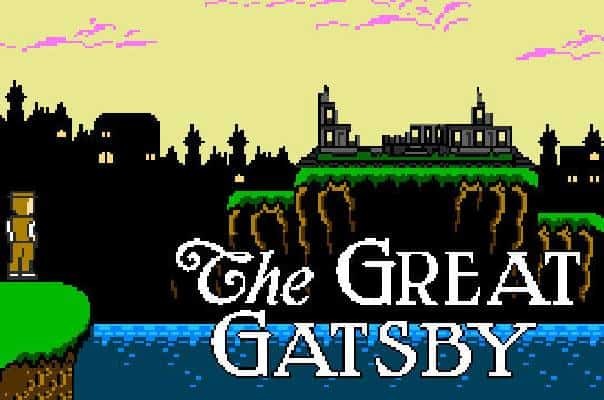 The only thing in which games imho resemble literature (and movies) is that they present the gamer with a fictional world (historic, fantastic, science-fiction). But a gamer is not on the receiving end as are people watching a movie or reading a book. A gamer is always more than a receiver, his is also participant and creator.